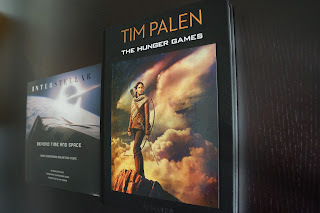 A lot of the success of the marketing campaigns for The Hunger Games franchise is undoubtedly thanks to the stellar work of, now Chief Brand Officer and President of Worldwide Marketing, Tim Palen, who has a very deep creative involvement with the campaigns, which is rarely seen in movie marketing (only other notable examples are Zack Snyder's work on trailers for his films like Sucker Punch and Batman v Superman and the David Fincher/Neil Kellerhouse duo with the promotional and poster art for The Girl With the Dragon Tattoo, House of Cards and Gone Girl). In case you don't know, Palen designs all the key art and promotional photographs and portraits (not stills) for the campaigns himself - and to celebrate the franchise, Palen released a collection of 200 images, both used and unused, in a deluxe coffee table book - which was launched today by Assouline. 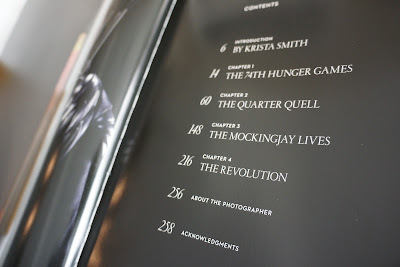 Thanks to the guys at London's flagship Maison Assouline, we were the first in Europe to get the book (overseas Assouline stores such as the London ones should receive the books in stock by the end of the week - and several of our fellow fansite colleagues already got it at the New York Exhibition) - and are presenting a review and a small peek here! 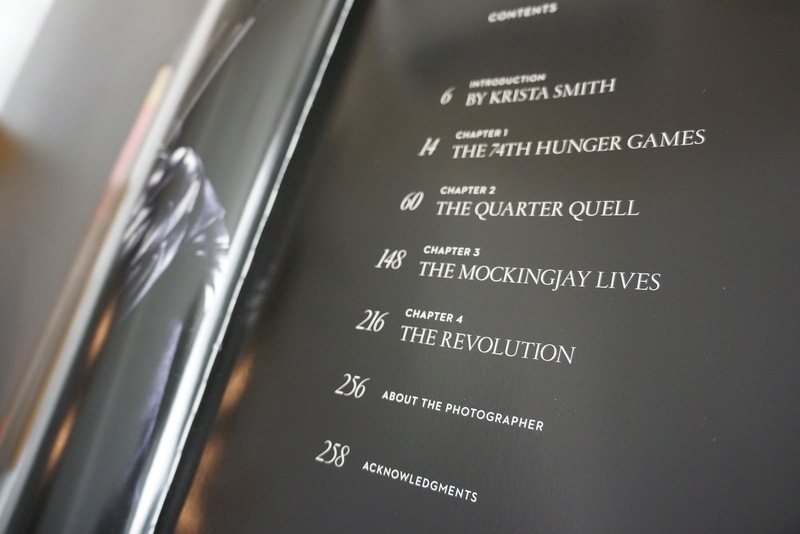 The book features a detailed introduction by Vanity Fair's Krista Smith talking about Palen and the film's campaigns - with quotes from some of our cast and crew - before diving right into the 4 chapters - focusing on each of the films. 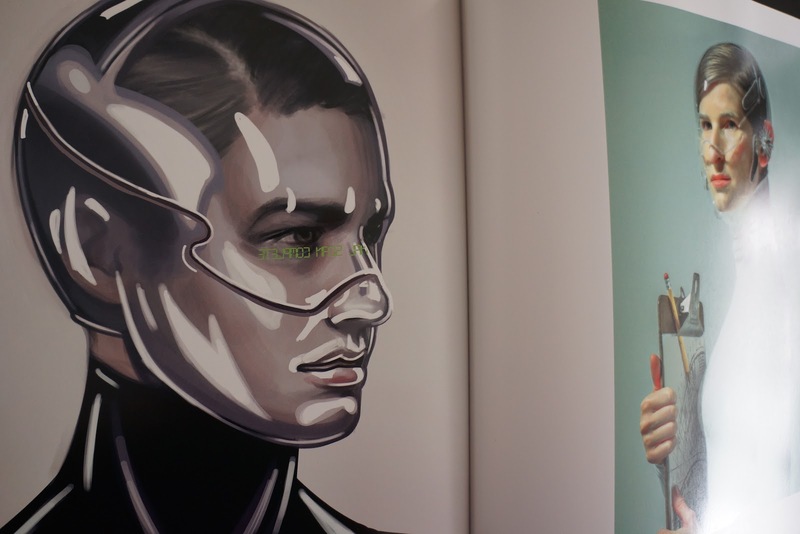 The book features a selection of both released and unreleased, original and modified/retouched for the book campaign materials, with a lot of the focus being different looks at all of our characters. 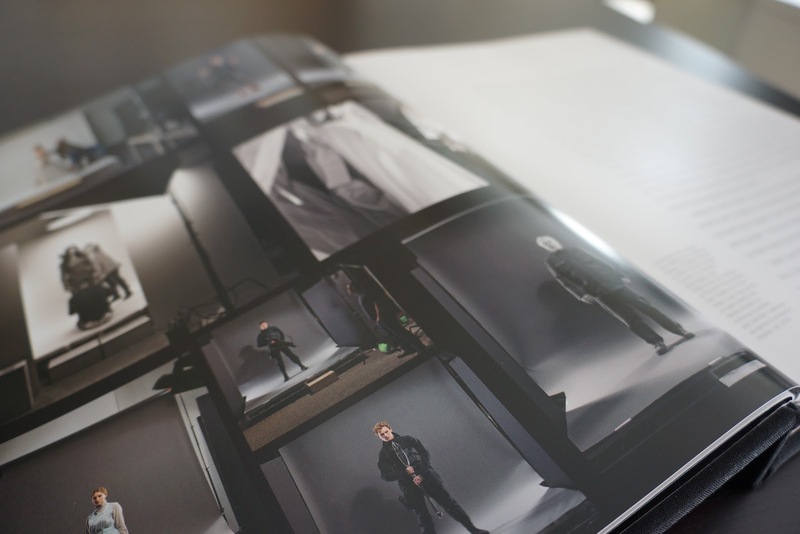 There are definitely lots of pieces fans will recognise, as well as new and alternate takes on them, and, completed sets of character images when only one or two were initially released for the marketing. 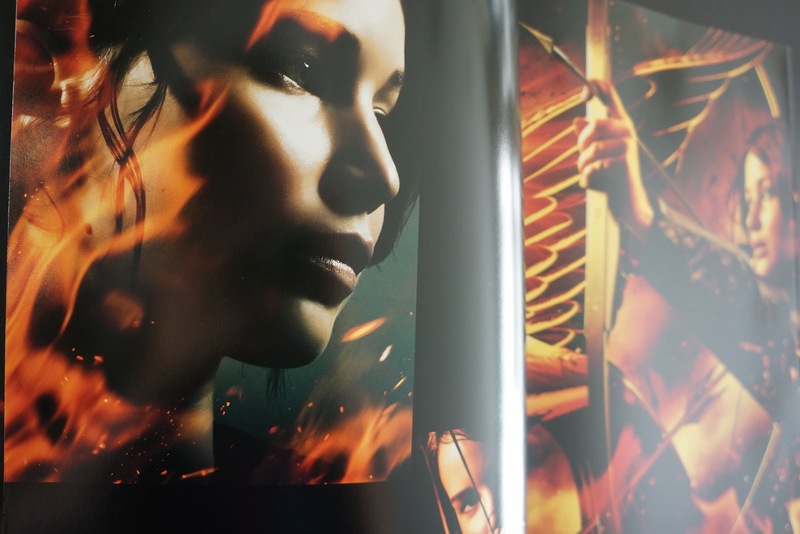 The images are truly stunning, and each chapter (minus the last one, more on that below) is a brilliant retrospective of the art of each campaign - from the initial Entertainment Weekly "first looks" to the final posters and outdoor banners, and also each chapter in some cases features some brand new staggering looks at select characters too that make us wonder why they weren't used, as well as behind-the-scenes photos and concept art of how some of our iconic posters such as the District Heroes set were made. 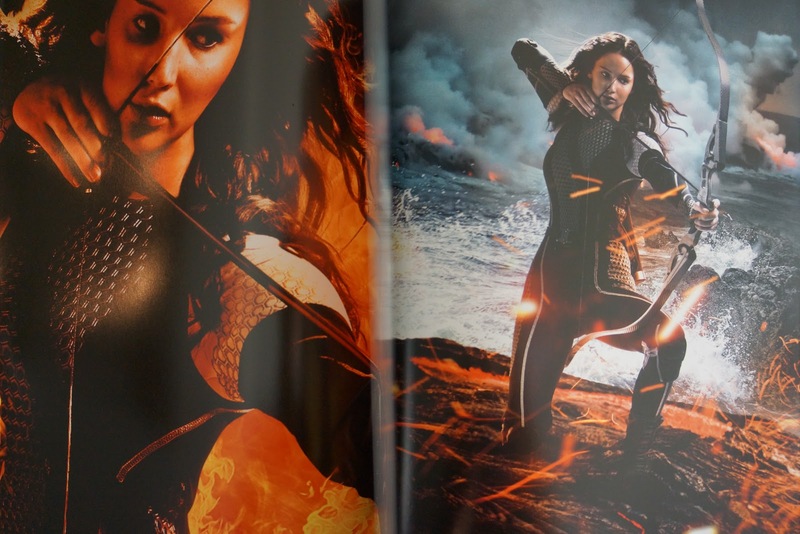 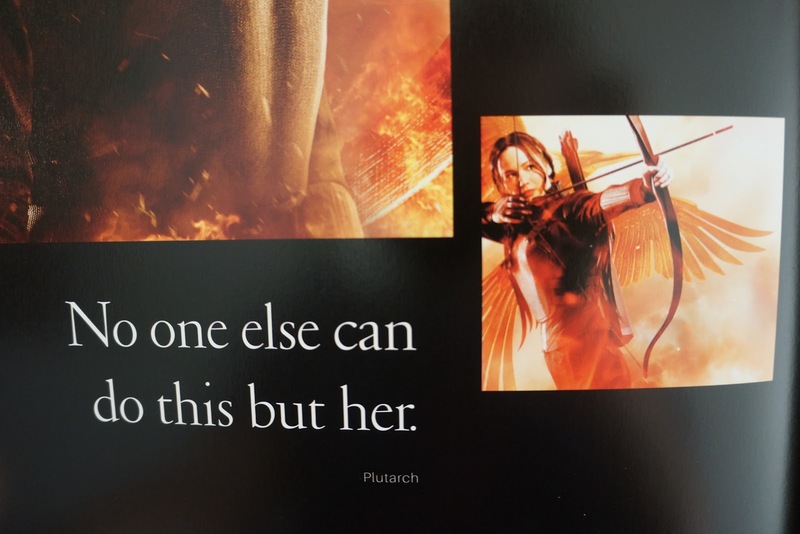 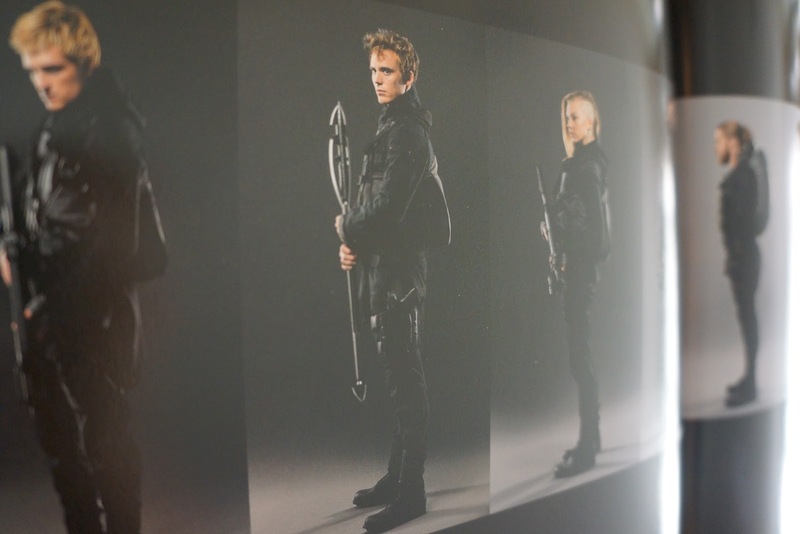 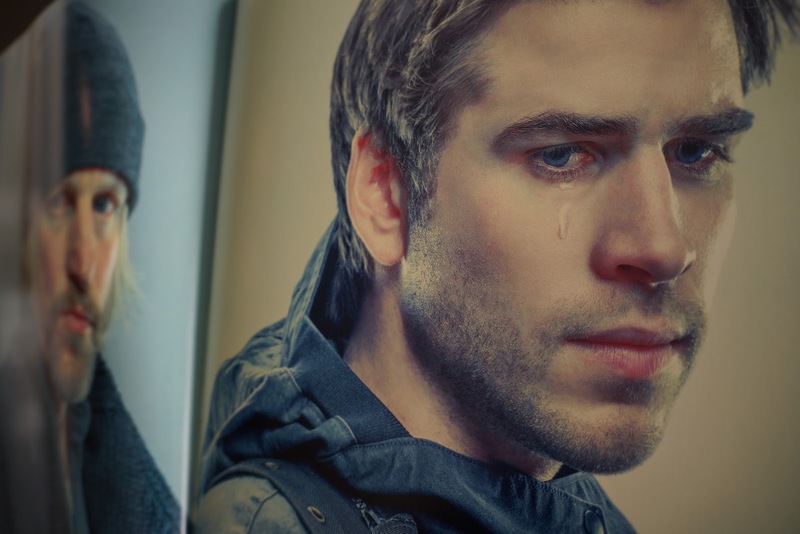 The book also features a shorter chapter dedicated to Mockingjay - Part 2, with some already released images and a surprisingly a lot of unreleased images of a particular character...as well as a first look at Squad 451 all together that may form the basis for future character posters. 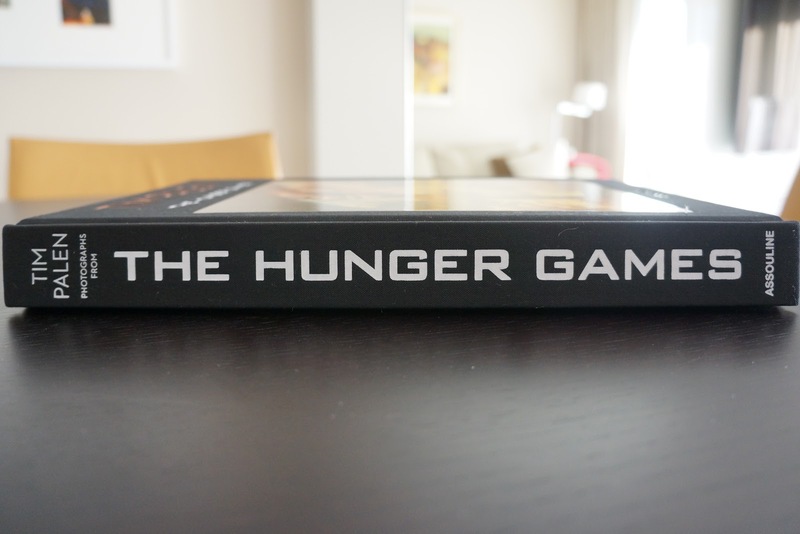 If there is one issue with this book, it's that due to the lack of content in that chapter, the book overall feels incomplete. 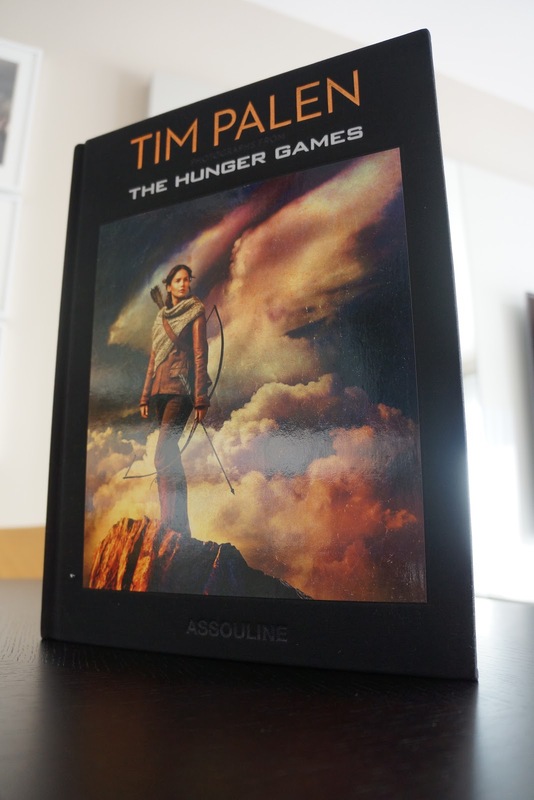 If this were released closer to or after November, it probably would have been more satisfying as a result - which is why Assouline are reportedly making a "smaller, specially bound" edition of the book due in November which will no doubt feature more Part 2 content. 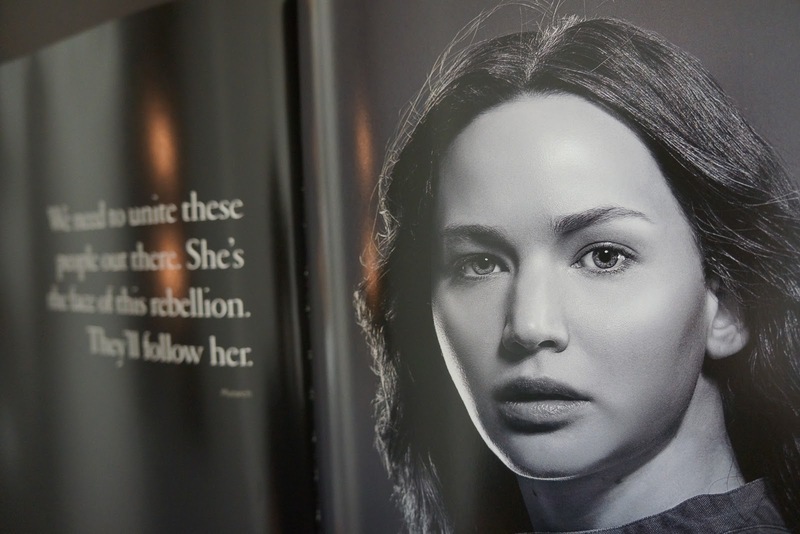 But as a sneak peek as initially advertised, the book does a great job, although maybe a couple more of the released pieces such as the defaced Snow poster, or the 'Unite' hands would've helped make this more complete. 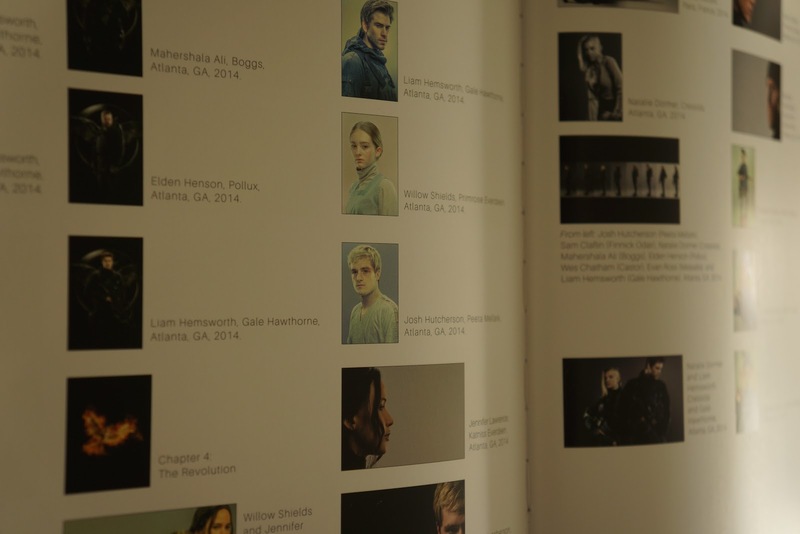 Overall, Tim Palen's Photographs from The Hunger Games, despite its incompleteness, is an excellent collector's item to be cherished as the years go by and a brilliant retrospective of the art that shaped the franchise and its image to audiences around the world. 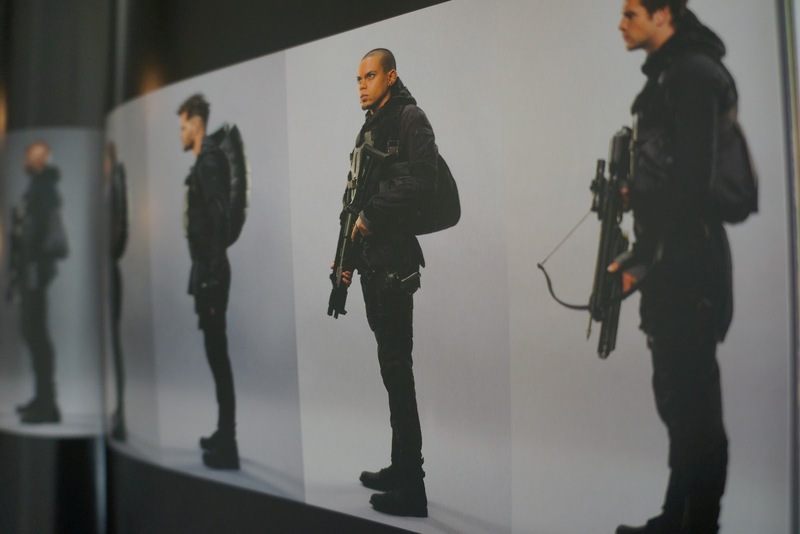 It's definitely an unprecedented collection - we could only hope for a similar collection from Fincher and Kellerhouse - and it fully justified the, for some, hefty price tag. 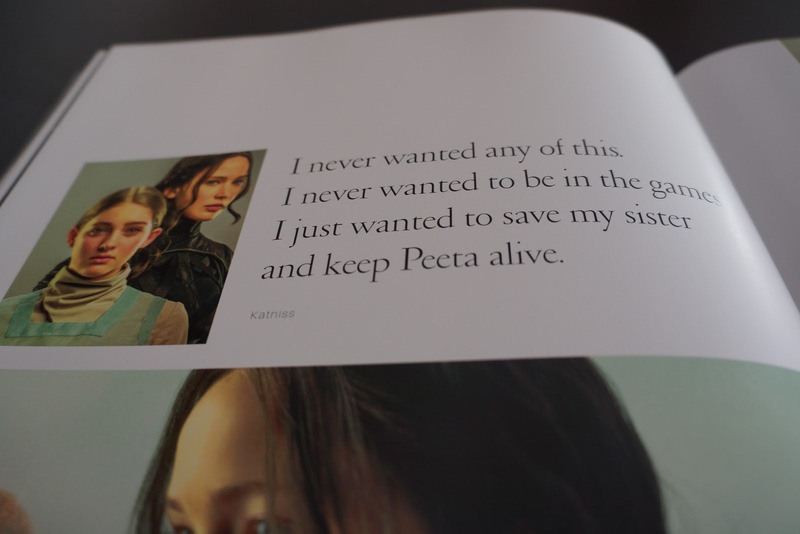 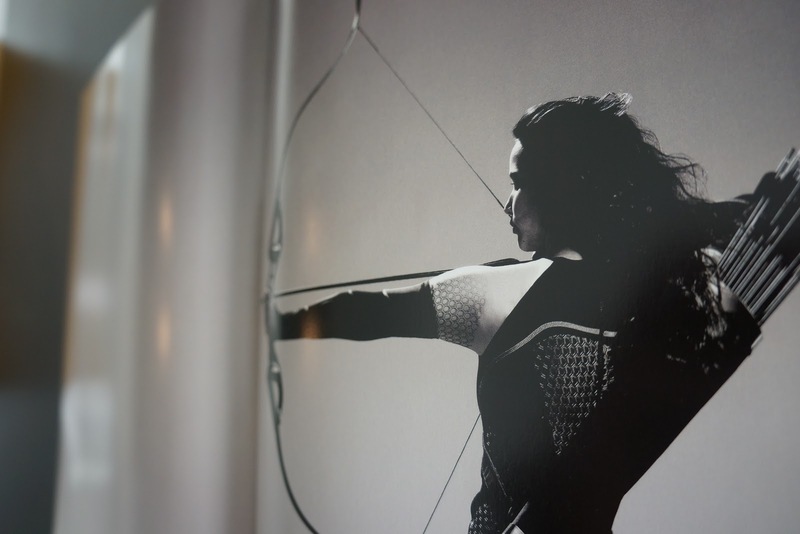 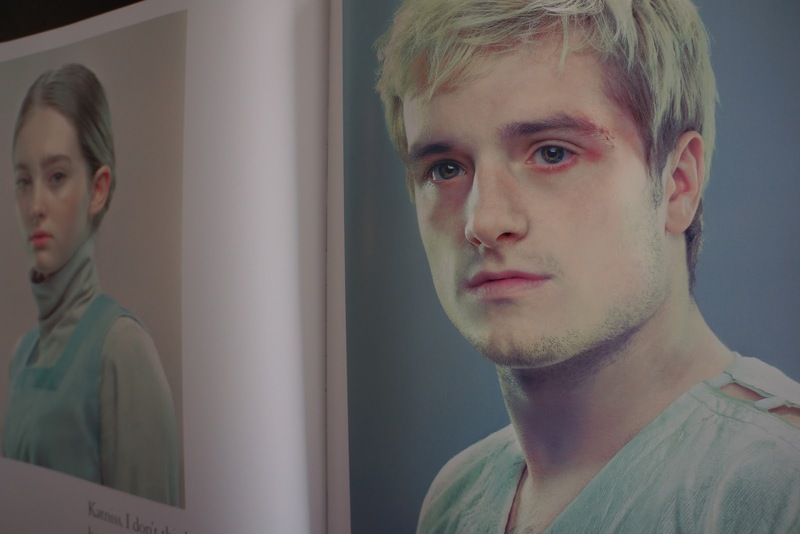 Tim Palen's Photographs from The Hunger Games is out from today at Assouline.com, at select Assouline boutiques and from Wednesday at The Hunger Games: The Exhibition in New York. 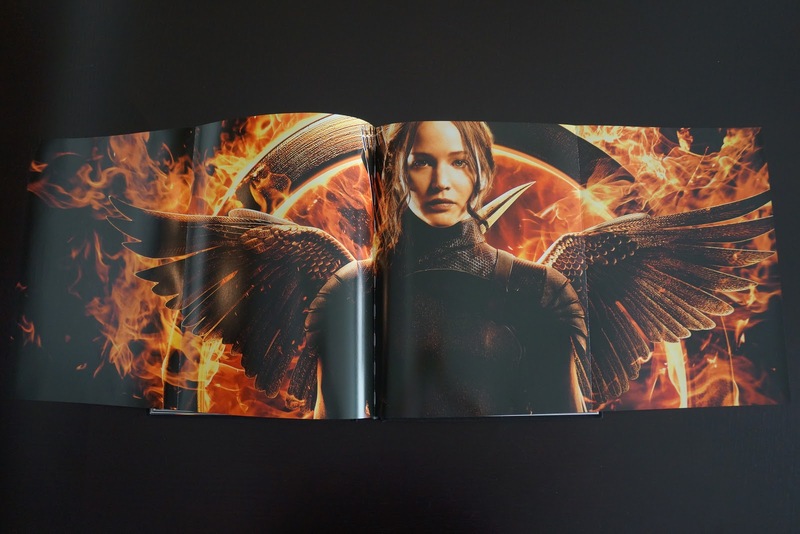 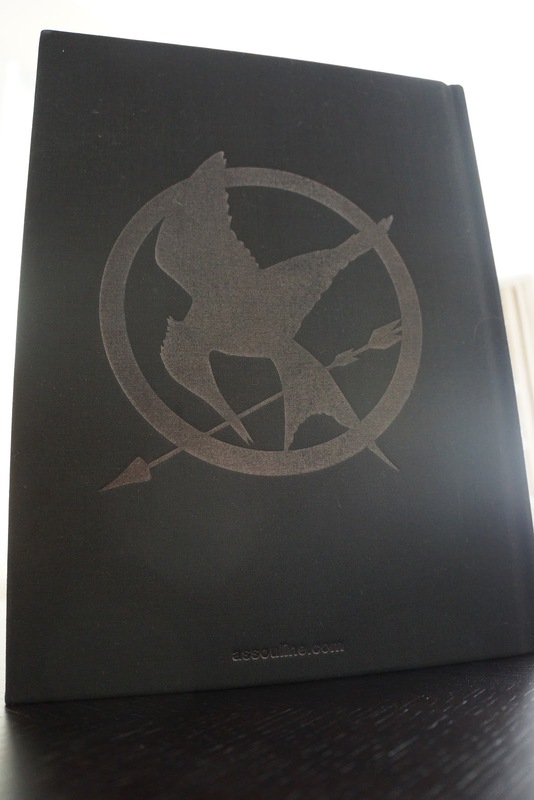 The book will be available at book retailers worldwide including Amazon US and Amazon UK from late July and there is a smaller and cheaper edition of the book with presumably more Mockingjay - Part 2 content planned for release this November.